I know exactly what you mean. 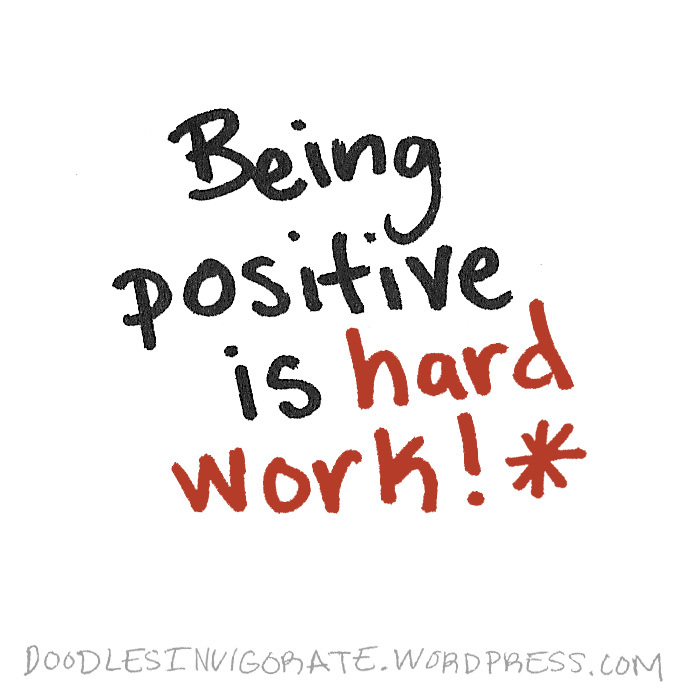 It certaining is hard to stay positive. I know I’m struggling with it, but I will do whatever I can to keep a smile on my face. I hear you, sister. Sometimes the encourager needs to be encouraged. Jesus is our rock and defense. With him we will not falter. Amen! It’s true, we all need encouragement. Jesus is the greatest comforter! Negativity seems such an easy trap to fall into! And it is a hard habit to break because there are so many negative influences around us! Just remember, “Rome wasn’t built in a day!” It takes time to tear down the bad and replace it with the good. And it does take patience and a whole bunch of effort!! I was just thinking about that analogy “Rome wasn’t built in day”. But not in that quote. You are right. It takes time to erase the many years of negative. It’s even harder when there are a lot of bad influences. God has always told it to us straight…we are to “live in the world, but not OF the world.” We cannot escape the bad things around us, but we should not get involved in them to any regular degree. That does make us “stand out” in an odd way sometimes, but that too is part of the life of a Christian. We are not perfect, we will have bad days, we will fall to temptations. But we have a God who is very loving, and thank goodness for that! If we can sin less often as we go along, and ask for forgiveness, He is faithful to remove our sin-stains. And it does take time and effort to be more positive sometimes, whether you’ve been a Christian for 30 minutes or 30 years! Okay…”church” is out for the day…lol! Thank you for attending and have a Sassy day! No, a Super Sassy day!! lol. Amen pastor! Preach! 🙂 By the way, are you a pastor? If not you’d make a good one. Oh, I have done a “sermon or two” along the way, but I like to teach in small bible studies and write online as my main ministry work. God gives us gifts, Satan tries to “hobble us” in our attempts to use them. I wish I could be more “public” in my work for the Lord, but I serve “behind the scenes” more often. You are kind with your praise, my dear! 🙂 Cool! You are a great teacher. I am a behind the scenes kinda person too. I have a hidden desire to be a motivational speaker but I gotta get past my fear of speaking to large groups first! I completely understand you! I was blessed with a loud clear voice and a confident manner, except when I face a large crowd! In college, one of the classes I had to take was “Public Address 101.” You know, it took me 5 times of signing up, dropping, and then finally toughing it out to get through that class! Wow…what a pain!! Thanks for sharing that! I admire your guts to try! You gave me an idea. I just might try taking a speaking class. Maybe it will help break the ice. I know my nervousness stems from hidden insecurities. I think I fear I’d bore the people half to death. lol If it’s God’s will for me to speak he will mature me. Hey, Sassy! I missed you the past few days!! Hope all is good with you, and thanks for the compliment on my “novels!”…lol. I don’t know if something like “Toastmasters” helps, but I have heard they help with building up public speaking and self-confidence issues. I’ve never heard of them. I’m going to check it out. I’ll keep you posted! We’ll talk soon, my dear! Being “upbeat” all the time is hard to do…at first! Sassy, forgot to tell you I nominated you for an award! Go to my site and see “Award Time” for details…Congrats! Enjoy your day and we’ll talk again soon. This is so true. Being an encourager can be very discouraging at times. But God is faithful and we will do our best not to become tired in well doing. Reaping day is coming. Thanks for sharing!